It’s time for me to invest in a new bag. I’ve bought one invest bag in this lifetime and it was a medium splurge. And lord knows I had to revisit the site like 400 times before I hit buy. 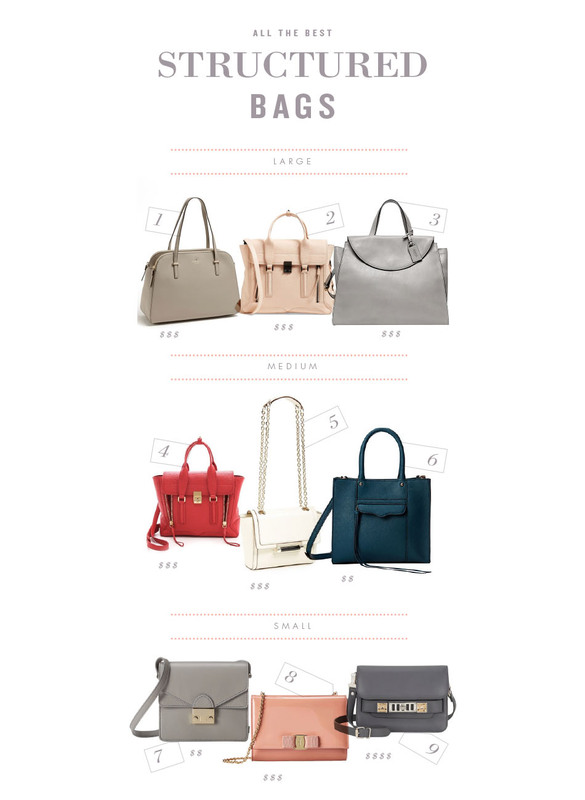 I’ve been collecting a few of my favorite bags from around the web for the last few weeks and have finally compiled them for you. Hopefully the little dollar signs will help with price point. I’m highly considering #3 and 7. And dreaming about #9 (never gonna happen though.) I want the little baby bags but I like the transport a ton of goodies with me. Help me make my decision. absolutely adore the pashli leather cross body satchel! That DVF is such a beauty!! Completely love at first sight.